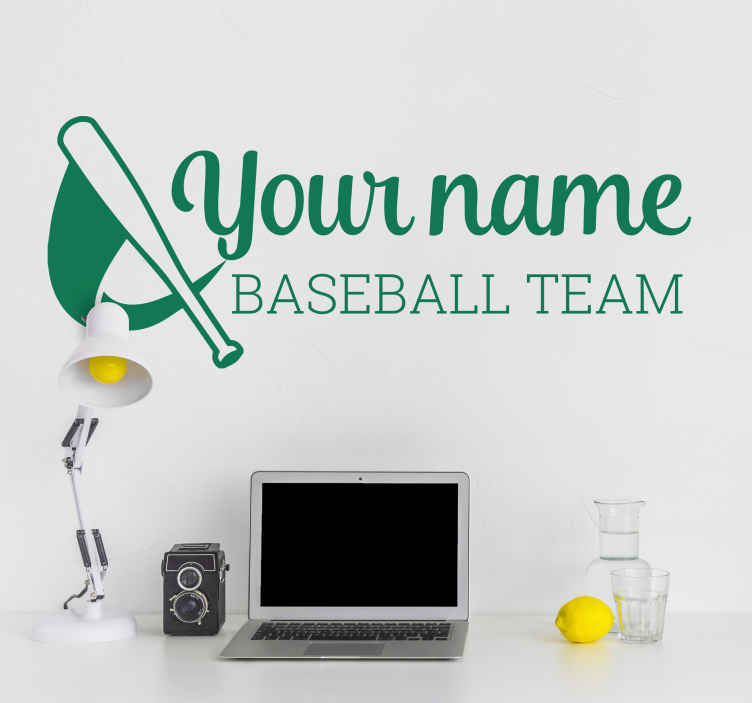 Personalised baseball team name sticker. Are you looking for ways to decorate your sports club? Why not decorate it with the name of your baseball team. This sticker consists of a baseball bat in a swinging motion next to the name of the baseball team. Alter the colour of the sticker to match the colour of your sports team. With our adhesive film, the stickers are easy to apply to any flat surface.